BET’s Sunday Best has been a great platform for aspiring gospel artists over the past three years and has given us promising talent like Crystal Aikin, Y’Anna Crawley, Jessica Reedy and current Sunday Best winner, Le’Andria Johnson. The highly anticipated album from Johnson courtesy of Music World Entertainment is more like an EP, as there are only seven songs on the project; two songs being Sunday Best medleys. That is the downside to this project. Now on to the good stuff. Le’Andria Johnson is one of the best singers in gospel music today and she proves just why she was chosen to be Sunday’s Best in the first place. 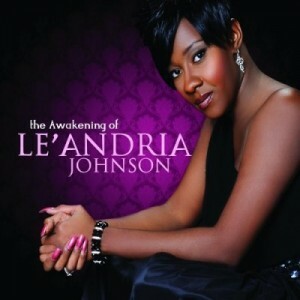 Her first single, “Jesus“, has been receiving heavy radio play and is a song that fits Le’Andria’s voice like a glove. On “Cast The First Stone” (my personal favorite) she belts out lyrics like “Be careful who you judge cause your words can destroy, change your heart and never love again. Let God be the one to say if it’s well done, cause no woman or man is perfect“. This track was co-written by Le’Andria and you can tell that the song is her personal testimony. “Make Him Like You” is a plea to God to make her next man a good man made in his image; honorable, a provider, a best friend, patient, fruitful, courageous, committed… you get the picture! “New Reasons” is one of those old school, feel good songs with heavy piano and organ riffs that will make your organist blush. “Struggle Not” is a slow ballad that Le’Andria sings with so much power and conviction, you can’t help but think of a young Vanessa Bell- Armstrong. 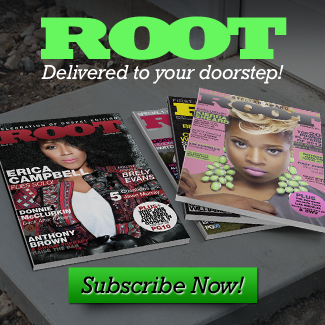 Le’Andria Johnson will be in this business for awhile, however, she was cheated on her first album. Don’t get me wrong, every song on this project is solid; with great production and well written lyrics, but an album with ten original songs would have done the job. It is evident that Music World’s plan was to release a Le’Andria Johnson project before the next Sunday Best winner is crowned.. I get it. However, the label’s obligation is to give the fans what they want and in this case it is more Le’Andria! Isaac Carree's "Uncommon Me" is #1 with a bullet!